Yesterday I was happy to troop at a hospital for the first time. 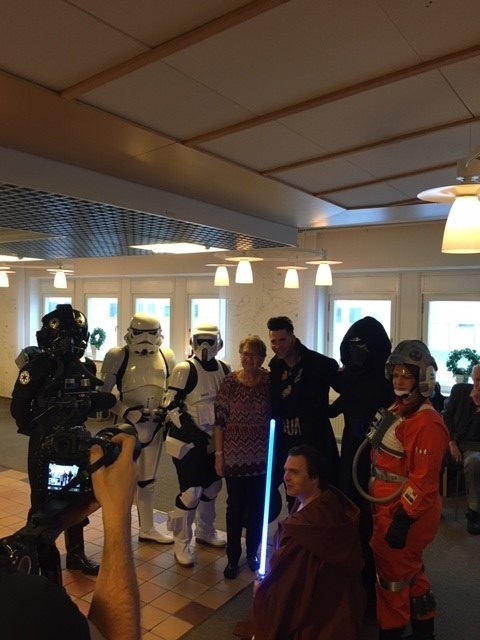 The 501st Legion and Rebel Legion are invited from time to time to visit children's wards and children's events at hospitals to bring some cheer. In Sweden we have visited hospitals in Stockholm, Göteborg, Linköping and Umeå. They are usually during working hours and since I don't live in any of those places I haven't been able to do a hospital troop. Now for the 13th of January (Tjugondag Knut) we were invited to the University Hospital in Örebro. The 13th of January is the traditional last day of Christmas, and nowadays it's usually celebrated with a children's party. This year the day was on a Saturday, and there is a direct train to Örebro with good times even on Saturdays. So I set off on a 6 hour roundtrip to be able to cheer up some children. I thought that this would be a tough and emotional troop, that is what I've heard from people who have done hospital troops before, but I guesss the fact that all the children were dressed up and happy to be at a party made you forget that many of them are or have been very ill. The party was organised by a foundation that works with cancer patients and survivors. It turned out to be exhausting though. 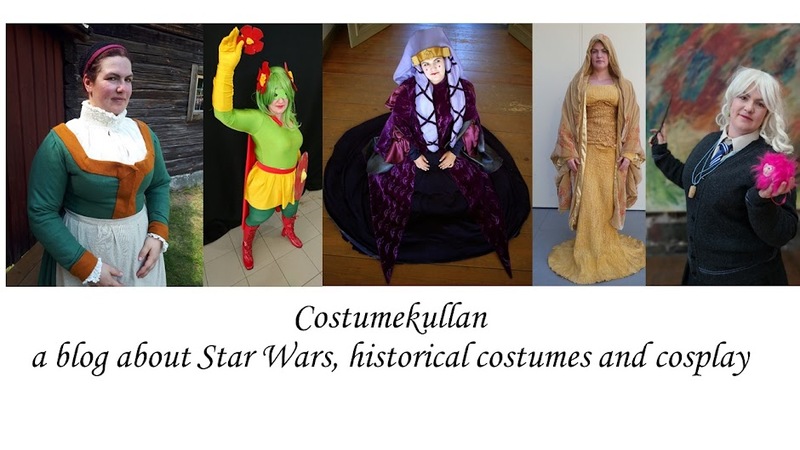 I had chosen to wear my X-wing pilot outfit, since it's easy to move around in and I figured that with a lot of children around it would be good to have a good field of vision. That turned out to be true, and I did act a bit as a spotter for our helmeted troopers that couldn't see below their waists. Anyway one of the things you do a this party is to take the last dances around the Christmas tree, and of course I thought it would be great to do that with the children. I thought it was going to be the kind where everyone holds hands and walk/run a few circles around it, but it turned out to be a full 30 minutes dance routine. Thankfully due to my upbringing with Midsummer festivities in Dalarna I know the traditional children's circle dances, and it was really fun doing them with the kids. I didn't get a chance to take any photos while we were out there, but here is a group photo of us together with Brolle (a well-known musician that also performed for the children) and the organizer of the foundation, who has won a prize as a Swedish hero for the work she does for the children. Swedish TV was there and made a small report, and in the end you can see my orange leg and arm doing some dancing. Click here.